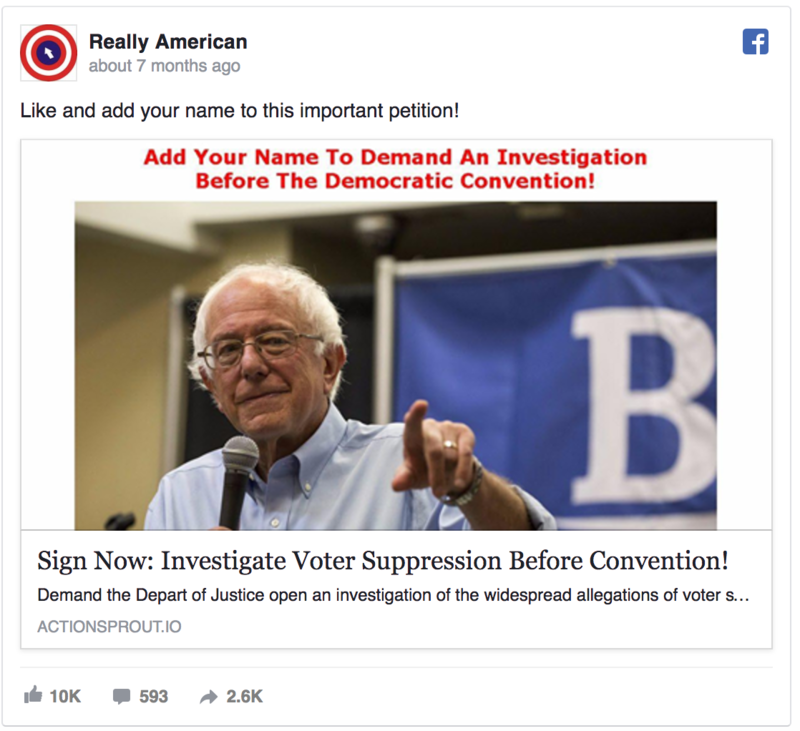 Nathan Mackenzie Brown, founder of Really American, showed us that running petitions with donation upsells can significantly improve your Facebook fundraising, for organizations large and small. Here's what they did and how you can make their strategy work for your organization, too. 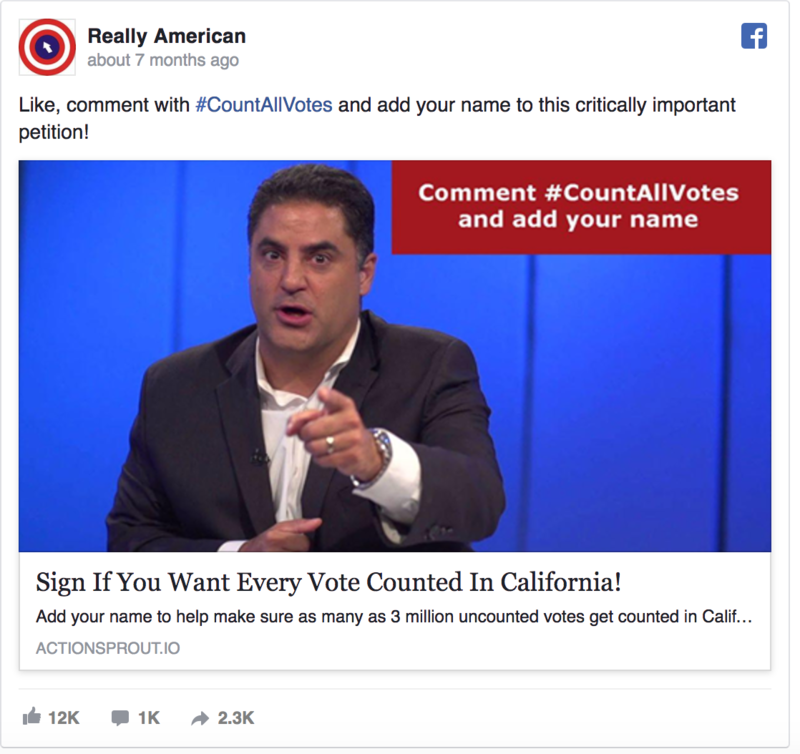 Really American helps concerned citizens defend truth, democracy, social justice, and the environment against the corruption that Bernie Sanders exposed to the American public in the 2016 presidential election. During the experiment, Really American launched more than 80 different petitions, all coupled with donation upsells. What do we mean by “donation upsells” exactly? Well, for every time they gave supporters the chance to sign a petition in support of a cause, they then immediately followed up with a message giving that supporter the opportunity to pitch in a few dollars to the cause. “I ran upsells right after people signed the petition, where I asked people to donate money to help get more people to sign the petitions" Brown told us. "I chose this method because I saw Change.org doing this on their petitions and I have seen Moveon.org doing it as well. I figured it probably would work well given that these large organizations use a similar approach." Brown found that upsells engaged his supporters better than a straight donation action. (Upsells follow the same principles as micro-commitments, which you can learn more about here.) In other words, if someone takes a small action for you, like signing a petition or pledging their support, they are much more likely to take action again. Brown's experiment proved this to be the case. Throughout this process, Brown experimented on his Facebook page to track what resonated and what didn’t, giving him the ability to fine tune his strategy and focus his efforts where they had the opportunity for the greatest results. But how does one come up with that many petitions and ideas to test? With this method, he was able to discover a formula for successful petitions. 1. Sign If You Want Every Vote Counted In California! 2. 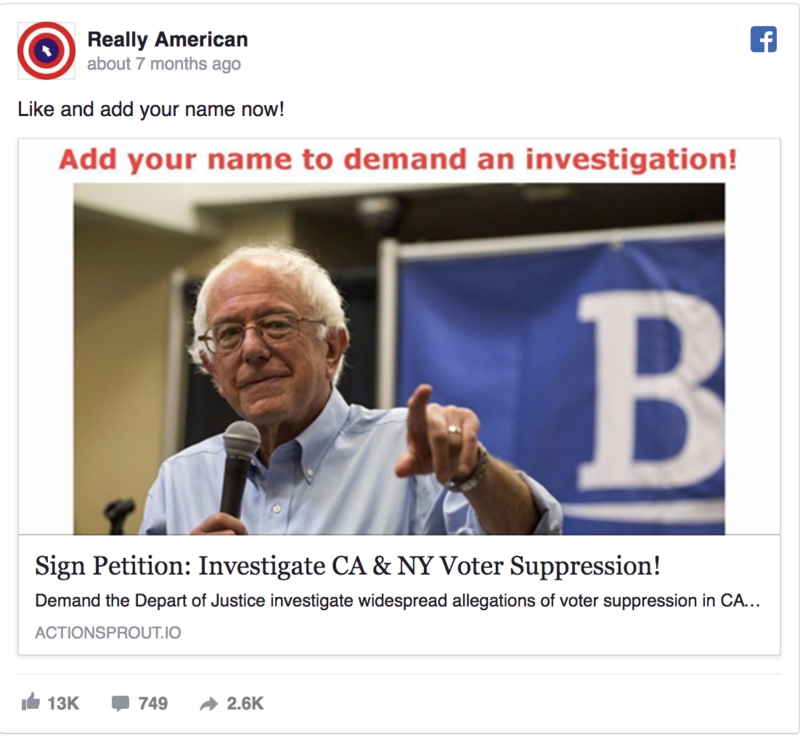 Sign Petition: Investigate CA & NY Voter Suppression! 3. Add Your Name To Punish Voter Suppression! In total, these top three petitions enjoyed an average conversion rate of 53%... with 84,142 Facebook shares! Post and test as much as you can! Really American created and promoted more than 80 different petitions to learn what resonated most with supporters. Use the trending stories and topics that folks are currently talking about as inspiration for new petition ideas. This will help you create enough petition content to run a test of this size. Double down on what works and leave the rest behind. Your supporters are the experts on what engages them, not you. More About Nathan Mackenzie Brown and Really American Brown is currently running similar campaigns now for a mayor’s race in California and for a bike advocacy organization in California in partnership with AHG. Really American is currently interested in finding one or two more clients to work with on this sort of basis. In addition, they are in the early stages of seeking seed money from large donors to scale the activities of Really American’s email list building and fundraising activities. You can reach Brown by direct messaging the Really American Facebook page.